Blog — My life and work. Mortgage Interest Rates Have Dropped! Let the rates drop! Well, they have. Mortgage interest rates are at a 15 month low! That is huge for buyers, who are ready and waiting to buy a home. In Phoenix, Arizona it’s particularly good news because the inventory of homes is on the rise. So not only do buyers have more options, they’re also getting a good rate! The current rate for a 30-year fixed rate loan is at 4.5% with an APR of 4.511%. Some rates are as low as 4.375% depending on your financial information. The Mortgage Bankers Association expects the rate to tick up slightly this year to over 4.6%. Blah, blah, blah… What does that mean? If you’re shopping for a home: Lock in your rate! With rates this low, you’ll want to try and lock in your rate. That will mean that you’re going to have to get serious and find a home you want to make an offer on. If you own a home: Check out your options for refinancing and see if it can save you money. The refinance process does cost money, so you’ll want to check that the savings is worth the cost. If you’re almost ready to buy a home: Start getting your finances in order and talk to a mortgage broker. Then you will know what your rate would be and have a better idea on the cost to purchase a home. Your mortgage broker may also give you some homework to get you a better rate or loan. So now that the rates have dropped, you may want to talk to a mortgage broker. I work with some of the best people in the industry, so give me a call! I can set up an introduction for you. Then they’ll work with you to accomplish your goals. If one of those happens to be buying a home, let’s get house hunting! I would love to help you. We’ve all heard statistics about certain businesses, like 50% of restaurants will fail. These statistics are something you look at going in to things, in order to asses how much work it will take to succeed. Well, real estate is no different. 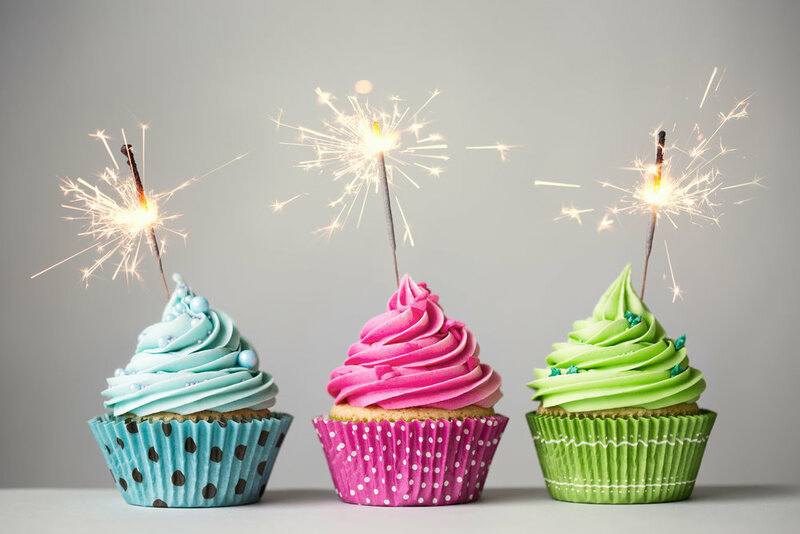 80% of newly licensed agents will never renew their license after TWO years! Now that is a huge rate of failure! Only 20% of licensees move on to year three of their real estate career. That means the job of a real estate agent isn’t for the faint of heart and that succeeding means working really hard! All of that is true. The last two years have been a lot of work. Not only the work of real estate but the work of improving and motivating myself to keep going. Even with my parent’s established team and systems, real estate was hard! It still is! What they don’t tell you, is that the job isn’t about selling homes, it’s about successfully dealing with people of all different personalities and ushering them to a closed deal. It’s about being so self confident that you can handle rejection, stress, lost deals, no clients, and still keep going! It also has a lot to do with asking for business, something very uncomfortable. All of that, is why so many don’t succeed or quit right before a breakthrough is about to happen. It’s hard work! So that is why I am celebrating this big win! I’ve made it to year three!!! Buy a House With a FREE Realtor®! Did you know? When you buy a home it doesn’t cost you a dime to hire a Realtor®! How is this possible? Well, the seller pays the commission! When you sell your home, the listing agent charges the seller a percentage for commission. That percentage is split between the selling agent and the buyer’s agent. Why? In order to list your home on the Multiple Listing Service, where everyone who’s looking to buy can see it, you have to offer a commission. So the selling agent lists the percentage a buyer’s real estate agent will get paid listed with the rest of the home’s information. So it’s a no-brainer to hire a Realtor®, whenever you buy a home. Why wouldn’t you want to hire a professional, who can negotiate for you, when it doesn’t cost you a dime? You get a lot of protection, advice, and solid experience when you decide to hire a Realtor®. So DO IT! It’s completely FREE! Let’s work together and find you, your perfect home! Fall isn’t thought of as “the best” time to buy but that may be changing. Savvy buyers have an advantage when shopping for a home during the fall season. 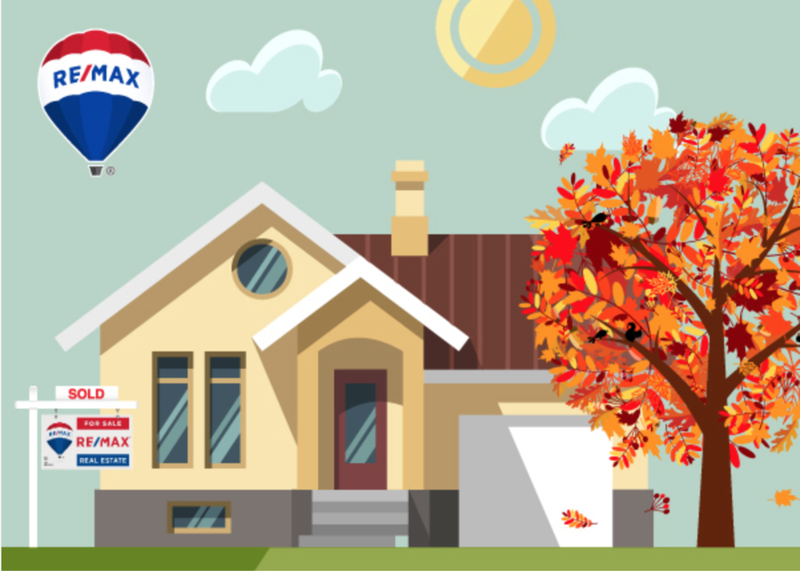 So here’s 5 reasons why fall is a great time to buy a home. Year-End Tax Breaks: any mortgage interest or property taxes paid by December 31st are tax-deductible for that year. This could increase what you get back or reduce what you owe the IRS. Less Competition: The National Association of Realtors® reports that almost half of the homes sold, happen between May and August. Luckily fall is the best time in Arizona for the weather, so house hunting will be cooler and even less stressful. You could avoid a bidding war, since most people wait until summer! Eager Sellers: not all homes will sell during that summer rush. So homes on the market during the fall will have sellers that are ready to move on. That may allow you to negotiate a better deal, with less competition. Less Expensive to Move: with most people focused on the holidays, moving companies have lighter schedules than during the summer. Pricing and scheduling during this time of year may be more flexible. Quicker Transactions: title companies are also experiencing a slow down as transactions tend to decline in the fall and winter. Pair that with a motivated seller and you could be in a house before the holidays hit! If you’re ready to buy and just have been waiting for more homes to come on the market, let’s start looking now. You may end up finding the perfect deal, that you would have missed or had more competition on during the summer months. Ready to start looking? Email me at kyle@teamclayton.com! Home buying is one of the biggest decisions we make in our adult life. Unfortunately, there are tons of things that can make a deal fall through– especially if you aren’t working with an experienced professional. You don’t have enough saved for a down payment. Surprise! Houses are expensive. The down payment for which you’ve spent so much time saving might not be enough. In addition to closing costs, there can also be other fees. Make sure that you have significant cushion savings, in addition to whatever you plan on putting down for your house. You don’t have your ducks in a row. Staying organized is essential when you’re house hunting. Are you serious about the bid you’re putting down? Make sure that you’re fully aware of all deadlines, contingencies, and paperwork involved in moving forward with your home purchase. You’re shopping out of your budget. Looking for houses way outside of your budget is the first way to “lose a house”—you’ll just be losing a home you never had a chance of having. When you shop above your budget you’re sure to find a dream house that’s nothing more than that: a dream. Plan for the strong possibility of putting in an offer above asking price. This may mean looking at homes listed a few thousand below your budget to create padding in your budget to make a higher offer. You lose a bidding war. Quick, decisive, assertive—these are all necessary traits to winning a bidding war. Working with an agent who can negotiate on your behalf is a great way to ensure you play your cards right. You come down with a case of buyer’s remorse. Buyer’s remorse plagues homebuyers across the nation. What’s the most obvious symptom of this condition? Cold feet. Sales contracts fall through all the time because buyers back out at the last second, succumbing to the fear of such a life-altering decision. Trust your gut. You close too slowly. Sellers are trying to get sales contracts through as swiftly as possible. In this climate of high demand and limited inventory, residential real estate is a hot market. There will almost always be someone behind you, vying for your potential future home—if you really want it, work hard to satisfy the seller and make things official as soon as possible. You don’t have an experienced agent. None of the above issues are simple. Having someone on your side that knows the ropes of the home buying process is the most valuable tool in your box. Your agent is there to take the brunt of the work off your shoulders and hold your hand along the way. Let a professional help you with the most important purchase of your life. Your inspections aren’t timely. If you’re lucky, all you’ll need is one inspection. However, the inspection is just a first step. If an inspector discovers any problems, you’ll have to start making appointments with specialists to look further into the house’s issues. Don’t waste any time getting the inspections going or you might find yourself without a house to inspect. Your Seller receives a low appraisal. An appraisal that comes in lower than anticipated is always taken by the seller as a personal blow. This proves to be an issue for the buyer, too. Either the seller will become difficult or, even worse, you’ll have to pay the difference between the appraisal and the sales price out of pocket. You can’t secure a mortgage. You’re so close to the finish—and then your mortgage application is declined. Nothing will lose you a house faster than the inability to pay for it! Apply for pre-approval so the seller knows that you’ll actually be able to buy their home; don’t wait for something to go wrong. If you are proactive throughout the buying process the odds of you losing the home are significantly slimmed. Have questions or need an experienced Realtor® to help you win? Email me at Kyle@teamclayton.com or call 623-334-5144. The Pathway to Purchase Program is down payment assistance of up to 10% of your purchase price! That's a huge help for homebuyers! Even better, is that this assistance can be used for down payment and closing costs! Could this open up the possibility for homeownership to you? Let's talk! When you decide to use this assistance, you must buy within the covered zip codes listed. You cannot buy a home outside of those areas. So that is a limitation but for that much of a boost, it may be worth it in the long run. You'll get a 30-year fixed rate, FHA loan, which is perfect for a first-time homebuyer! You just have to meet a minimum credit score and have a debt to income ratio of 45% or lower. The property also has to be your primary residence but you don't have to be a first-time buyer! As a Realtor®, I am really excited about this program and I hope it can help a lot of people looking to buy. So if you're interested in more information, email me at Kyle@TeamClayton.com! I'll send you a flyer with more information and a lender you can reach out to sign up! Let's get you in a home! Your Donation's Impact on Phoenix Children's Hospital! Small donations, make a huge impact and that is why we're participating in a Penny Drive! Literally every dollar counts, so if you can make a donation, please do! Children's Miracle Network: The Month of Miracles! Every August we hold a penny drive, to try and raise over ONE MILLION pennies! Why pennies? Because literally, every penny counts: .50 cents buys a child a toothbrush and $1 dollar buys an infant a surgical mask. So if you only have a dollar to give, you are helping a child! Maintaining your home isn't easy but a little prevention can spare you some big repairs! Deferred maintenance can also effect you when you go to sell your home! When buyers see things that are broken, they take a closer look at your home! 1. Give your home a good scrub down! Clean everything, even windows! A good place to keep clean is under sinks, buyers and inspectors look there for water damage. Clean homes just present well and generally have a neutral smell! 2. Keep up on minor repairs. Don't let that loose faucet or door handle get any worse. Change burnt out lightbulbs and double check smoke alarms. Also change your air filters! 3. File away major repair invoices. If you get a new water heater, A/C unit, or even an appliance, keep them all. Maintain a file with these invoice in your home, that way you're prepared for any service calls or warranty fixes. Plus, you can leave it for the next owners of your home! 4. Double check your home's systems. Make sure your A/C unit isn't wobbling or making noise. Check to make sure your hot water heater is operational and set at the right temperature. Look under sinks for leaks and check your toilets too! 5. Look at your home like you're about to sell it. If you were touring this house, like a buyer, what would make you frown? Fix those. What would make you smile? Do more of that. Keeping this perspective will keep you from having to fix everything up before you sell it! 6. Check pool equipment and water levels. It's peak summer and your pool has probably been working extra hard to stay clean. Look over the equipment for any leaks or plugs. Grab a pumice stone and have the kids work on that water line, calcium build up! 7. Purge your storage spaces. If you have stuff in the attic or in the garage, do a small purge session and get rid of some things. Not only will it make some more room, it will keep stuff from building up. Termites and other critters can cause damage in places your stuff is building up! 8. Be aware of moisture build up. Our houses are sealed up tight during the summer and that helps keep us cool, but it may also keep bad stuff inside too. Check your bathrooms for moisture build up and make sure your exhaust fan is working. You may need to give it a little vacuum so it can breathe better. 9. Secure gates and access points. Part of home maintenance is safety. So check your gates, add locks if needed, and fix any weak entry points to your home. Double check that your pet doesn't have any escape points either. 10. Sweep the perimeter of your home. Are there plants touching your home? Bushes or moisture near the foundation? These things can be invitations for critters like termites and roof rats. Not good! Trim and remove as needed. Monitor the moisture at the foundation to prevent bigger problems. Those are your home maintenance tips! What are some things you suggest? These items will not only keep your home looking great and performing well! It will also keep you prepared for that day when it comes to sell your home. Your home will already be inspection ready! We've all heard the news about how there isn't enough homes on the market to keep up with the demand of homebuyers. So you may be hesitating if you're thinking of selling your home, it may seem like there's nothing out there to move to. However, I can solve that problem for you! Make a Plan: You've decided that you want to move. Now, before you put your home on the market, make sure you make a plan with your REALTOR®. Find the area and type of home you want to buy and get an idea of what's on the market. Once you have an idea of the market, then you and your real estate agent will put the plan into action. Watch the Market: Once your home is for sale, keep an eye on the homes you like, and any new homes that come on the market. Don't get attached, just watch the market. Once you get a contract on your home, it's time to tour homes to buy! Make an Offer: When the house you are selling has a contract on it and your are touring homes. It is time to make an offer! The key is to have a couple of homes you love, so you can put in a few offers. If you like 80% of the house, go for it! Stay Patient: Your main job is to stay patient, not only with the showings happening at your home but with your own home search. It's going to be a hectic period of time but your REALTOR® should make it as smooth as possible. If they are experienced, this type of transaction shouldn't be hard for them at all. They should be able to line up all the dominos, so that they fall into place perfectly for you! Now that you have a better idea of how the process would work, you shouldn't hesitate to sell your home in today's market. Home values are rising, so making a move now could be a win-win for you, sell your home for a good price and move-up before prices are even higher. Make sure your REALTOR® is experienced and does a good amount of business, every year. The more transactions they have been a part of the easier it will be for you. Plus you'll have a good negotiator on your side for both transactions, helping you maximize your value and close on time. Get Your Home Summer Ready! Summer is here and the heat warnings have already been issued! Keeping your home cool and saving money on energy costs, is a battle we all fight this season. Here's some tips to keep your home energy efficient. Air Conditioning: If you need to get your A/C serviced, now is the time. A check-up is always cheaper than dealing with a sudden emergency. Have them also check your temperature splits, to make sure your not losing precious cold air anywhere between the unit and the interior vents. Replace your filter every month too! Don't use a thick filter, it makes your A/C work harder. Programable Thermostat: your power company probably has a 'peak usage' timeframe, so program your air conditioning to that schedule. When you're away from home, bump the temperature up. Then have it bump down a few degrees, an hour before you usually get home. Seal it up! Think of your home as an envelope, we want to make sure it is all sealed up! Check the weather stripping on your doors, if you can see light, then you need to adjust your seals. Take your A/C vents off and calk the space between the duct and drywall. Check your attic insulation for gaps or leaks. Get a home energy audit from APS or SRP. Check your Fans: make sure your ceiling fans are rotating counter clockwise during the summer. This moves the hot air down with the cooler air, creating a more even temperature. Suncreens: keeping the sunlight from entering your house is the best way to keep it cool. So investing in sunscreens on all your windows, helping to lower your energy bills. Plus you'll have some more privacy with the blinds are open! More Buyers: Typically, people start looking for houses in March and the search for the perfect home can take quite a few months. So by the time summer rolls around they're ready to buy! That means more eyes on the market and if you sell in the summer, you could get a lot more traffic! Keep it Cool: If buyers are out and about during the heat of the day, a cool house will feel like a refuge! Pair that with a house that shows well and you'll stand out in their minds. Make sure to turn the A/C down a little lower than normal, so they can cool off while they tour your home. Longer Days: Even in Arizona, the longer days help more buyers search for houses. If you work until 5 pm, during the summer you have daylight until almost 8 pm! That leaves so much more time to see as many houses as possible. Outdoor Space: It may be getting too hot out, but buyer's still want that outdoor living space. They may be looking for a house during the summer but they'll be living in a home as the temperatures start cooling down. Keep the grass green, trim all the bushes, and create some seating areas. Bonus: add some seasonal flowers to brighten it up! Trust a Professional: Whether you're buying a new home or on the resale market. Trust a full-time REALTOR® to help you because in a highly competitive market, you need that experience. Ask them how many transactions they do each year and then ask them how close to list price is their average sales price. That will tell you a lot about their experience. If they have the answers, that's a good sign. Have any questions? Let me know! I am happy to help you in any way I can! Red Door: Not only are they classic, red doors create a universal feeling of being welcome. Visitors will be drawn to the front door, wanting to come right inside! Talk about a great way to welcome people to your home! Flowers: Color is huge, so grab a tray of seasonal flowers and get them planted! In pots or in the ground, add some pop of color to your front yard. Just don't forget to water them! Curved Pathways: From the sidewalk, add a slightly curved pathway to your door. It will create a traffic pattern and give visitors a direct way to enter your home. Plus you can line it with flowers or other cool, local plants! Wreaths: Adding a seasonal wreath on your door adds another layer of curb appeal. People love the "homey" feeling a wreath can bring to a home. Tap in to those feelings! Not a wreath person? Do a cute sign or colorful mat! Contrast: Make your house stand out with contrasting colors! Have a white house? Try black! Have a gray house? Paint some aqua accents! The contrast in colors will make your home unique and memorable. Fly a Flag: Owning a home is part of the American Dream, so fly your flag! Have a family member in the Military? Fly their branches' flag! Everyone loves a flag, so put one outside of your home! These are some easy ways to spruce up your home, even if your not selling! Spring is the perfect time to do these projects, so just pick one that you can handle and tackle it! Share your pictures with me on Instagram or Facebook! I'd love to see what you do! Last week, I became a GREEN Designee with the National Association of REALTORS®. A designation in real estate signifies extra education or experience, that an REALTOR® receives in their career. So it was only appropriate that my first designation was the GREEN one! When you want to buy a new home, you need to get a REALTOR® on your side, even before you visit the model homes. This is a crucial step that can save you money but more importantly, ensure you have representation on your side! Usually when you buy through a new home builder, you use their financing too. So no one is on your side for the purchase contract OR the financing. You're all alone and the builder uses that to their advantage sometimes. Having a REALTOR® that can look over the contract and ensure nothing extra is in there, or who's aware of rates and loan costs, making sure you don't over pay! If costs seem high, they'll encourage you to shop the builders lender. Always on your side. Negotiation time comes and it's just You vs Them, and the builder has more experience. So you may not do your best negotiating when it comes to add ons, landscaping, finishes, and final price. Plus if the builder discounts homes after your purchase, are you going to walk in there and renegotiate your price? Probably not but a good REALTOR® can and should be doing that for you! So grab your REALTOR® (me) and let's go look at model homes together! I'll get you registered with the builder and I'll stay by your side until move-in. Let's buy a new house! We're charitable: Team Clayton was just recognized as a Top 10 contributor in RE/MAX Professionals to the Children's Miracle Network, supporting Phoenix Children's Hospital. Not only that RE/MAX Professionals raised over $15,000 for PHX Children's in 2017! We're top performers: Top 5% of agents nationwide! We do over 40 transactions every year, so all of that experience is working for you, to get you the best deal! A team on your side: Tom, Janet, and Kyle Clayton are all full-time Realtors®! You get all of us, plus Diann, our assistant for no additional cost to you. We don't drop the ball: We have the systems in place to get your transaction closed and the expertise to get your offer accepted. That's huge! Diann will be in constant contact with you and you can call any of us with questions. We want to make buying an selling your home, an easy process. Our goal is to not only make sure you know what is going on at all times but also to ensure your transaction closes. Our experience and media presence can make the all the difference when selling your home. Team Clayton is the whole package and we continue to innovate. So let's work together! People always wonder and ask, "what made you go in to real estate"? The Martinez family and their story, embody why I am a REALTOR®. Mr. Martinez is a hard working, young man, in his late 20's, and married. They have two kids and a baby on the way, actually due any minute. 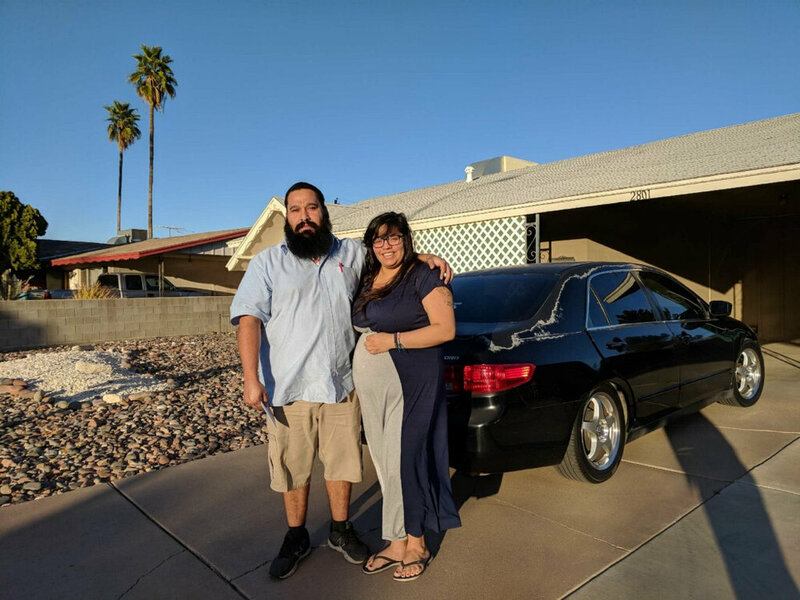 Mr. Martinez recently became a citizen of the United States of America and wanted to live the American Dream to it's fullest. His rent was increasing, so he went in and got preapproved to buy a home. That's when he called the number on one of Team Clayton's For Sale signs. We we're so happy to hear from him. When I met Mr. Martinez for the first time, I could tell right away that he was an honest, hardworking man. I was excited and immediately invested in finding them a home. I wanted to help them reach their goal of homeownership. The house they really wanted, the one that had our sign out front, was under contract and not available. So we kept looking. He was getting frustrated, prices we're rising, and there wasn't much out there. They had fallen in love with the first house they saw, it was close to both their families and a location he grew up in. However, there was nothing I could do about it, someone else was buying that house. Mr. Martinez was about to give up his home search. That's when I got some good news?! The house they loved fell out of contract, it was for sale again! I called him as fast as I could to tell him the news. We wrote a contract that day and the next day, his offer was accepted. He bought the house of his dreams (for now)! Fast forward through closing, it was time to give Mr. Martinez and his family their new keys. This time, he had a newborn with him, ready to start her new life, in a home they own. Mr. Martinez's eyes were full of emotion, pride, because he worked hard for this. He deserved it. He made it happen. I am so proud of this family and so happy to call them my fellow Americans. My eyes well up with emotion, even writing this blog. This story is the reason I am in real estate. To help people achieve some of their biggest goals in life. I am with them at one of the happiest moments they have as people, or as a family. This is my why. Why I am a REALTOR®. Profit Motive: these companies are backed by a lot of Venture Capital money, which means one thing: Buy Low and Sell High. The Startup may purchase your home but it will be for low market value because in order to make a profit, they have to sell your home for a higher price. That's your money being left on the table. One Sided Representation: when it comes to them buying your home, it's you and the Startup (a corporation). No one has your back in price or fee negotiations. (There's no negotiation when it comes to fees.) When the repair requests come in, are they negotiating on your behalf or their's? When you don't have representation it can cost you not only money but more importantly, time. Higher Fees: if you think hiring a REALTOR® is expensive, wait until you see what these Startups charge. They are anywhere from 3%-6% higher than a traditional REALTOR®. Plus, if you buy and sell with one REALTOR®, they may give you a commission discount. These are just 3 really important reasons to consider using a REALTOR® when you sell your home. Not only that, you're helping a small business and that agent's family. You have a relationship with that real estate agent and can call them if something is wrong. Do you think that startup is going to take your call after the deal is done? Not unless you have another house to sell. Team Clayton is committed to building relationships with our clients. So much so, that we have 5 free events every year ,that you can attend with your family. Movies, Pizza Parties, Happy Hours, and more. Once you sell with Team Clayton, you're our friend! The process of selling your home can seem daunting but with Team Clayton, it won't be! That doesn't mean you shouldn't know what's going on, so here's what you can expect when you decide to sell your home. Interview Agents: Make sure they can not only list your home but get it sold. Professional photos? Transaction Coordinator? Make sure they can get the job done. Price Your Home: A real estate agent should tour your home, to see the finishes and upgrades you may have made to the property. Then they can do a comparative analysis to determine your home's value. Prepare Your Home: You may have some homework to get ready for photos, to pack up personal items, or even some minor repairs. The goal is to help the buyers envision themselves in you home. Your REALTOR® should give you tips. Time for Showings: Now is the stressful part. However, your agent should have set up the showing instructions to make it as easy on you and your pets as possible. So make sure your input on how you want your home shown, is heard. Time for Offers: After about 10 showings, we should expect an offer. If not, we'll want to look at the feedback on your home and adjust accordingly. This is when you listen to the market, so be open to change! SOLD! : Once you get an offer, the process isn't complete. This is where you negotiate price, who pays closing costs, and a closing date. So having an experienced REALTOR® with good negotiation skills, actually pays! Inspection Period: From the date you accept the contract, the buyer has 10 days to complete inspections. This could involves any number of inspectors so be patient and don't worry. They will do their best work with you away, so plan a day out of the house. *During this period, the buyer can walk at any time. Repairs: Once the inspection period is complete, you will have a list of repairs that the seller wants you to complete, based on the inspections. This is where more negotiation begins, so decide what you're willing to repair and what you wont. *Depending on what you decide, you may have 5 more days of inspection period. Appraisal: The lender orders an appraisal after the inspection and he will determine your homes values. If it comes in too high, more negotiations! Just right, then the deal moves forward. This may be the most crucial point to have good negotiator on your side. Close of Escrow: Most agents will think it's smooth sailing from here, but not us! We make sure to maintain contact with the buyer's lender to ensure the loan process stays on track. Signing Day: Finally, the day to go down to the Title Company and sign all the paperwork is here. This completes the transaction and the Title Company will do the rest. Once they record the paperwork at the County Recorder's Office, it's official. You have to be moved out by that time, no exceptions! Talk about a lot to handle! So, ask your REALTOR® how many transactions they do a year. That will tell you how experienced they are at getting deals done! It's one thing to list a home for sale, it's another task to get it sold! So give us a call and put our team to work for you! Have any questions? Email me at Kyle@teamclayton.com or on Facebook! It always seems to happen, you start fixing your house up right when you're ready to move. That's life! So I wanted to give you a few, easy fixes that translate to an increase in your home's value. Subway Tile: from the kitchen to bathrooms, you can't go wrong with this classic tile. You could realize a 4-7% increase in property value by adding a backsplash. 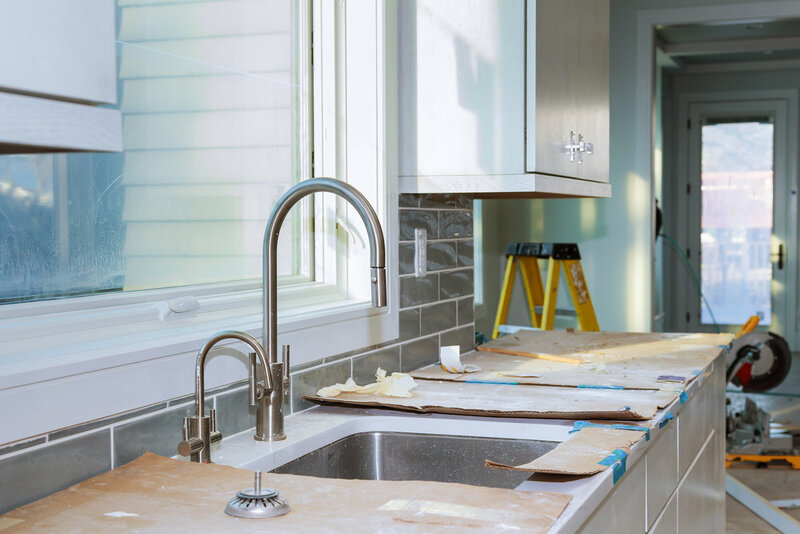 Kitchen improvements have a 75% Return on Investment (ROI), so you can spend some money and expect to get most of it back. You'll also be able to enjoy the kitchen of your dreams! Farmhouse Sink! Buyers love these sinks and may even buy the house just because of this! Homeowners have seen as much of an 8% increase in sales price due to a farmhouse sink! Shaker Cabinets in the bathroom are totally in style. They'll can jump the sales price almost 10%! These classic style cabinets appeal to all types of buyers, so it's a no brainer for bathrooms or kitchens! Zillow was some other suggestions too, so read more here. Preparing your home to sell is essential and sometimes, it means doing a little home improvement work yourself. However, I always want you to focus on things that will make you money, so don't go crazy. Doing the right things when fixing up your home can help it sell faster, without costing you a fortune.